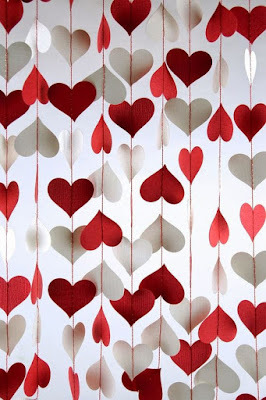 Chase away those winter blues with a few easy-to-make Valentine decorations for your home or classroom! You don't need to spend alot of money or be extravagant to bring smiles to your space! I love making garlands to hang on my mantle, over my doors, from the ceiling, or really anywhere to want to make a statement! 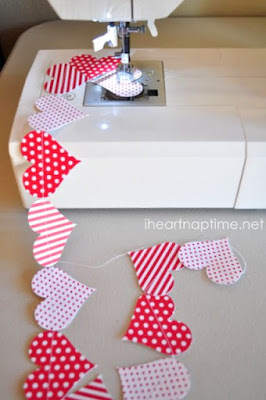 Here are some easy-to-make bunting ideas that don't require a ton of supplies! 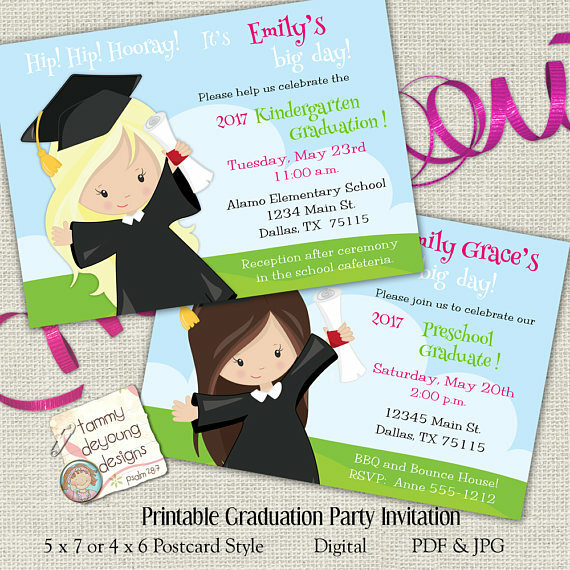 I do this all the time for parties, showers and birthdays using my 2"circle punch and printed card stock. Now I'm going to try using a heart punch instead! 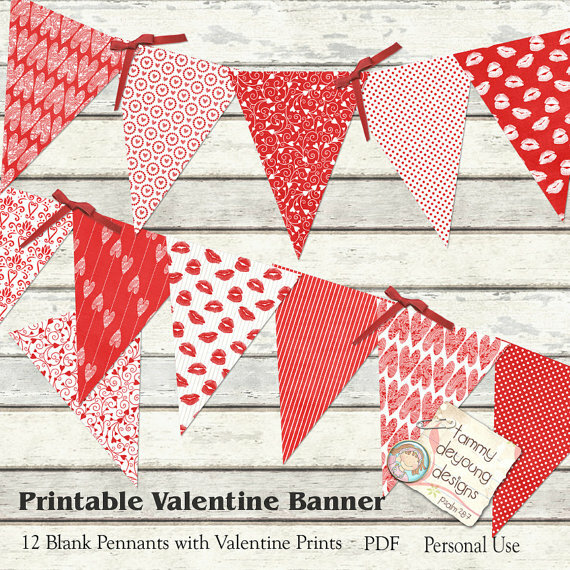 I have designed alot of ready-to-print and cut banners in my Etsy shop that would work great for your party! 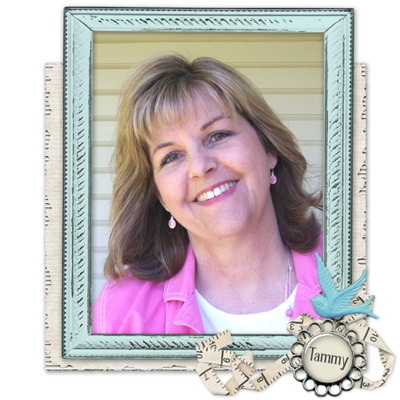 You just print on bright white card stock or photo paper, cut with scissors, and string together! 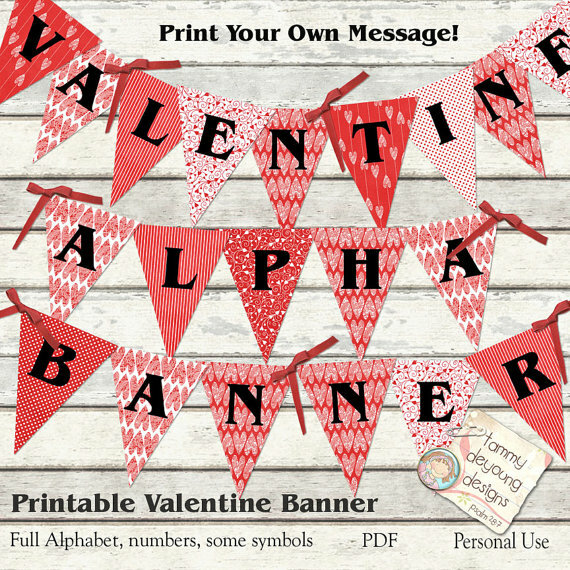 This one is has the entire alphabet on heart-themed pennants so you can spell whatever you wish. Try "Happy Valentine's Day" or "I love you"! Or you can just use the plain pennants with no letters. I like to string them together with ribbon. Punch holes in the corners and weave them side by side, or just staple them at the top to wide ribbon. This one sold out but she has lots of other cute garlands in her Etsy shop! This card banner is super cute, too! 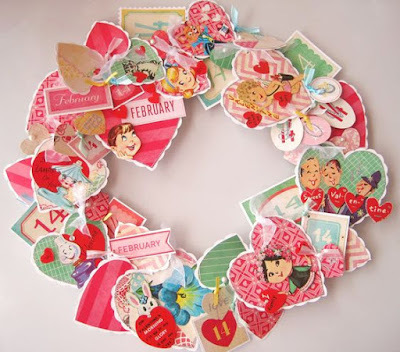 If you saved your kids' Valentine cards from last year, why not put them on a wreath form? If not, be sure and save the ones they get this year! You could also print out various Valentines and use those, or buy some inexpensive boxed Valentines from the Dollar Store! 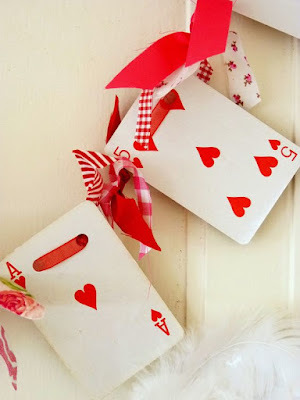 Love the way she cut the squares into hearts! 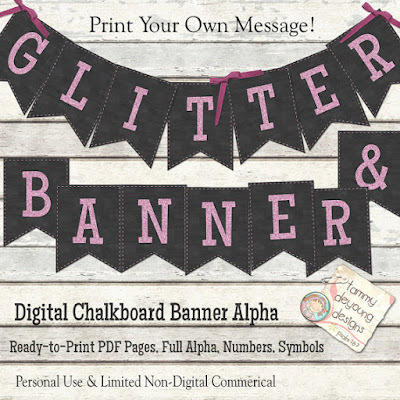 If you really want some easy "pink bling" just print and cut this Pink Glitter chalkboard banner. Spell whatever phrase you wish with the full alphabet! 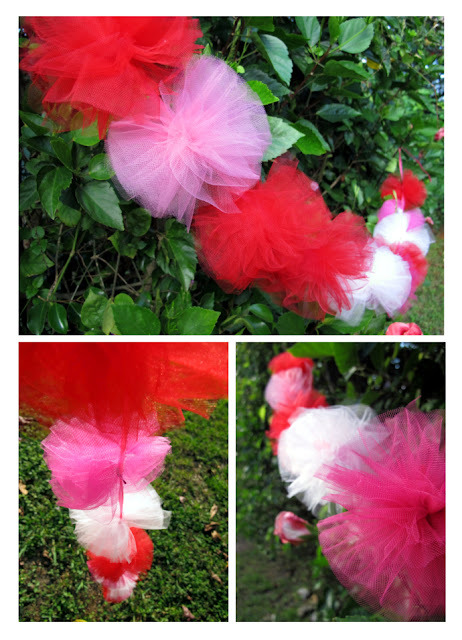 How to make tulle pom poms! .....Or make some giant pom poms to hang from the ceiling. Here's a video tutorial for really large tulle pom poms! 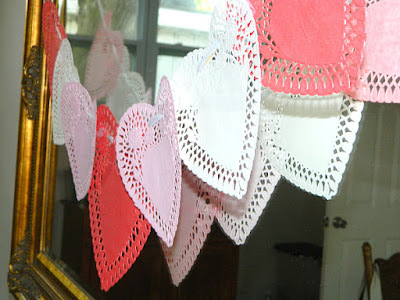 Here is a super simple paper Doily garland from the Dollar Store. Lets your imagination go wild! 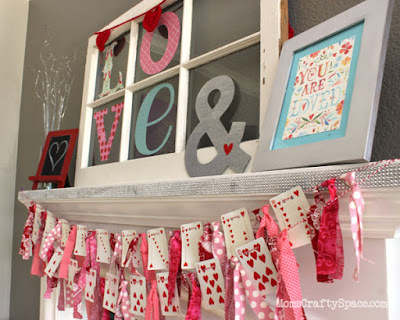 Look around your home and I bet you can find alot of other things to make garlands with. Let me know what you come up with!